The developmental milestones of a toddler can be an amazing experience for both parent and child. From learning how to walk to speaking in sentences, a toddler’s development is a very important process that can determine successful outcomes in the child’s later years of life. There are a variety of developmental milestones toddlers have to achieve and each milestone should ideally be achieved by a certain age. Do not worry if your toddler doesn’t reach a certain milestone quickly as possible like other toddlers as each toddler is different and develops at their own rate. However, if there is a slight concern of delayed development, please speak with your chosen child physician. This article will provide insight into the different phases (age ranges) of developmental milestones and what abilities a toddler should have. It’ll also provide understanding in developmental issues and how to properly treat them. We have made sure that the info on developmental milestones for your toddler has been thoroughly researched with quality sources so you can have a better and confident understanding of your toddler. How Important is Play for Toddlers? Play is an integral part of optimum child development. It is through playtime activities that young children aged 18 months to 3 years old are able to expand on their growth and development during infancy. And where playtime activities are concerned, toys will never be far behind. The toys we have listed here are the result of an understanding of the unique developmental needs of toddlers. 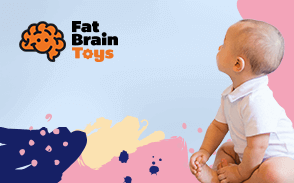 We made sure that every toy in our list is able to help enhance toddlers’ gross and fine motor skills, develop their language and communication abilities, and improve their cognitive abilities particularly in terms of simple problem solving. As such, we made sure that we worked hard to help identify some of the best and most developmentally-appropriate toys and gift items for toddlers. We are confident our series of toddler toys will help you better provide for the optimum growth and development of your precious tot. In toddler phase one gross motor skills, language skills and sensory skills start to develop. For gross motor skills milestones, the toddler should achieve ability in walking, climbing and stomping around. By age two, they should be able to walk at ease, perform basic running and catch, throw, and kick objects such as balls. Another milestone of this skill for toddlers is the ability to sit upright in the very early stages of this phase as well. Lastly, walking up steps should happen without assistance and toddlers should be able to bend, squat without falling over. The toddler’s language skills start to develop during this phase. They should be able to achieve language milestone of speaking several basic words by eighteen months and then speak simple phrases and sentences by twenty-four months. This is also the time they start to be able to understand very simple instructions and directions and another milestone is they’ll easily pick up new words from everyday conversations and other verbal sounds. Milestones in sensory skills will develop in toddler phase one. These toddlers will want to touch, see, hear and feel virtually everything in their environment. Milestones include learning to perceive and identify different colors, shapes, textures and noises. They’ll start learning how to respond to their parent’s voices and understand when their name is being called. Lastly, this phase is also when toddlers start being more interactive with the world through their own independence. Common milestones include learning how to use the toilet, dress and undress themselves, feed themselves and playing with other toddlers without parent supervision. In toddler phase two creative skills, communication skills and the fine motor skills start to develop. The milestones of the fine motor skills include being able to perform small movements using the muscles of the fingers and hands. During this phase, the toddler should achieve milestones in picking up and grasping, using simple tools such as a spoon, put together blocks and coordination of the hands and eyes. By age three, they should have developed milestones in learning how to open doors, operate moving parts on a toy and perform basic drawing skills with a pencil or crayon. A toddler will start to achieve milestones in the realm of creativity as well. They’ll start to understand simple fantasy stories and how to develop and use their own creativity for pretend play. During this period, since the imagination becomes very active, it is crucial that the toddler learns how to separate fantasy from reality and an issue with nightmares might develop as well. In response, if your toddler achieves the milestone of simple problem solving and learning what is and isn’t correct, the issue shouldn’t expand into something more. Lastly, communicative skills milestones become achievable for this toddler phase. The toddler should be able to be understood more clearly and learns how to use proper pronouns to express concepts such as ownership and identity. Once they are three, the milestone of being able to speak hundreds of words plus understand instructions and directions that involve multiple steps should be the achieved. This gives an easy to path to the development of friendships. The milestone of understanding and developing friendships, expressing and using their emotions in social settings and how to interact properly with different kinds of toddlers and people in general will be achieved. In toddler phase three the milestones that were achieved in phases one and two should be in regular use and perfected in addition to new milestones for this phase. This is the phase where toddlers grow into elementary bound children and what milestones they achieve during this phase can determine if they’ll properly function and succeed in the older children category. The first important milestone for this phase is the behavior milestone. At this phase, they have already achieved the socialization milestone from the previous phase but now it’s time to achieve the milestone of appropriate behavior when socializing. The toddler has to learn how to transition and adjust into settings where there is no longer one-to-one interaction but now multiple interactions. Achieving this milestone will help toddlers function in future environments without having temper tantrums. Education is another important milestone for this phase. During this phase, toddlers should start learning basic counting, sorting and categorizing. This is also when they achieve the milestone of being able to not only recognizing colors and shapes but how to use them for various purposes. Educational milestones include not only traditional schooling but what is learned at home as well. Toddlers should achieve milestones such as cleaning up behind themselves and helping around the home. Since this is the age most toddlers start preschool, it’s imperative that at-home milestones have been achieved so they can properly flourish in the preschool environment. The last but still very important milestone is health. By this phase, the toddlers should have already been weaned off from breastfeeding and have some experience in consuming table food. This milestone focuses on habits such as regular brushing, bath taking and simple, toddler friendly exercise. Since this is the phase where toddlers start to grow in pounds and height, it’s essential for proper nutrition to be included and frequent access to other kids means regular doctor visits for check-ups. The most common milestone is normal growth and physical ability. No two toddlers are the same; all toddlers developed at different speeds in different ways. Just because your neighbor’s toddler entered toddler phase two when they were a year-old doesn’t mean your toddler is behind the times. However, there are times when a toddler can take too long to develop and it can cause concern for possible developmental issues developing. Developmental delay is much more than just being a little behind or taking a slower approach to milestone achievement. It’s when a continuous lag in learning and developing builds up overtime and no amount of education, parental support or regular practice of the developing skill makes a positive change. There are two kinds of developmental issues: Developmental Delay and Developmental Disability. While the terms are used interchangeably, there is a difference between the two but that difference can be hard to decipher within a child. Developmental delay can be caused from short term issues such as an ear infection causing sensory delay or a long term hospitalization causing a delay in motor skills. If the delay is spotted and intervened early, a toddler can quickly catch up in their developments. Developmental disabilities are usually permanent and are rarely outgrown or able to catch up in. While developmental disabilities are not the same as a learning disability, it can greatly impact the ability to learn. These disabilities usually require constant monitoring, teaching and caring of the toddler by parents, guardians, caregivers and teachers. Some disabilities require specialized classes or schools. Conditions such as Down syndrome, Autism, and complications from brain injuries can cause developmental disabilities. If there is probable cause that a toddler could have a developmental delay or developmental disability, a trained, certified specialist can give a proper evaluation (in some cases, more than one) to get a good idea of what could possibly be wrong. This can help direct the parent to proper organizations, services and support groups that can help to educate and function through this experience. Sometimes delays and disabilities are not determined until the toddler starts school. If the teacher notices problems with reading, math, speaking, thinking, socializing and focus in class, they can suggest a meeting with the parent to perform formal testing to determine if there are any developmental issues. Do not blame yourself if your toddler does develop a delay or disability. It doesn’t make the toddler any less intelligent nor does it mean they are destined for a life of mediocrity. However, while you shouldn’t stress out over it, neglecting or refusing to accept that your toddler does have a delay or disability could hinder them in the years to come. Just like it’s best to start the nurturing of developmental milestones early, it’s best to start the nurturing of delay and disability healing early as well.